Based on the story behind the name of New York’s The Harrow, it may not take a genius to imagine what music they offer. The Harrow is “an elegant means of capital punishment: a series of needles to inflict torture, pain and understanding”. 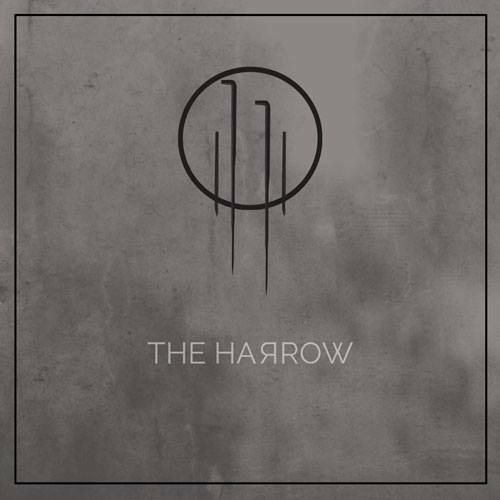 The Harrow in musical form create an authentic aura which doesn’t just sound influenced by the early 1980’s post-punk/cold wave movement but could easily be mistaken for actually being made between 1981 and 1983, such is the attention to period detail. A key member of the group is Greg Fasolino who achieved similarly impressive results with Bell Hollow in the mid-2000’s. ‘To A Figure’ sounds classy as soon as its doomy bass and programmed drums can be heard; recalling both The Wolfgang Press and The Cocteau Twins on a purely instrumental level. At the forefront are Vanessa Irena’s clear yet doomy vocals casting an inescapable feeling of despair whereas Fasolino’s delicate, chiming guitar offers a rare chink of light. ‘The Fall’ witnesses Barrett Hiatt’s prodding keyboards and Frank Deserto’s bass driving the core melody and by the time of the sinister ‘Milk And Honey’, the talented foursome are clearly on a roll; the song carries an insistent and gripping momentum which doesn’t let up. It is left to ‘The River’ and ‘Requiem’ to bring the EP to an atmospheric, almost funereal close; both show an excellent understanding of space and dynamics and are likely to haunt the listener for some time after they have finished playing. The Harrow may receive some flak for obsessing with a sound which was at the peak of popularity thirty years ago but nostalgia is rarely delivered with such dignity and devotion to the post-punk scene. Just like the instrument which inspired the name, they are certainly elegant performers but the message they deliver is darkly addictive rather than painful. Tone Color is the work of Manchester’s Andy Lomas and for his first album he has crafted two years’ worth of environmental sounds, ambient and experimental music into ten mesmeric instrumentals. 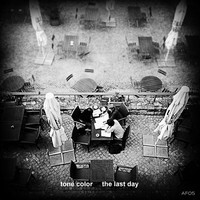 ‘The Last Day’ is a cosmopolitan work too with many tracks inspired by visits to European cities. For the opener, ‘Alex’, blurred layers of sound effects mix in with all kinds of chatter and field recordings of machinery, suggesting busy times at a railway station. Yet from this point onwards, the sounds are less frenetic and complex and hypnotic drones become the most prominent factor. 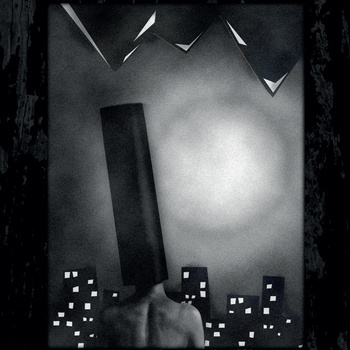 A rather more coherent ‘Vorantreiben’ still makes use of hazy electronica but its nocturnal melody and use of static suggests a tale of loneliness whilst the contrasting drones of ‘Ebowed an’ Clear’ and ‘Deuxième étage’ (the former gentle, the latter throbbing through the speakers) provide a comforting but intelligent experience. In an all too accurate echo of its title, ‘An English Summer’ is resplendent with bird song and, of course, rain but the key element is a serene wash of melody. ‘The Last Day’ won’t set the world alight and it never tries to. This is electronic music which is evocative and warm; revelling in its unhurried tunefulness. Mysterious in terms of both name and musical direction, A Ninja Slob Drew Me’s output so far certainly defies easy categorisation. The work of one Daniel James Brown, he is a proponent of the eight-stringed bass guitar which forms the basis for instrumentals and songs which could belong to all manner of different genres. His latest album, ‘[Before/After, Tilt]’ possesses a real cosmopolitan influence with inspiration coming from space, Finland and computer games. 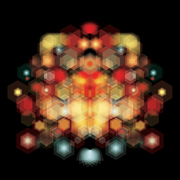 By the end of ‘[Before/After, Tilt]’, you can be forgiven for feeling rather confused by Brown’s view of the world but after a rather same-y start, the album becomes a thoroughly diverse and entertaining listen. Furthermore, although the guest vocals add a necessary fizz to proceedings, Brown proves his worth as both a fine arranger and a virtuoso performer. A common criticism concerning ambient records is that they are so subtle in their approach you barely notice them. So when an ambient record is based on the largely uneventful pastime of fishing, alarm bells may ring, or at least, in this case, distant ships bells may tinkle. 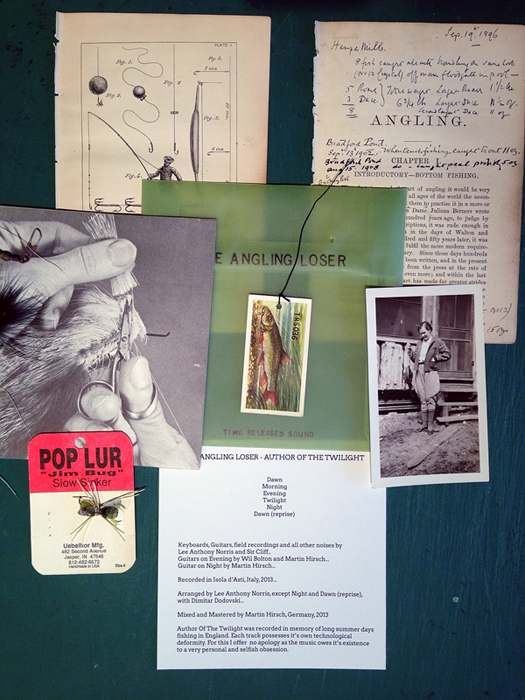 Yet fear not, for The Angling Loser AKA Lee Anthony Norris “and friends” is a simply inspired instrumental record, abundant with pastoral delights. The album is split into six distinctly-labelled pieces, beginning logically enough with ‘Dawn’. Here we get the expected bird song and gently running water, with drone effects simulating that hazy, “just woken up” vibe as nature comes into focus whilst languid guitar passages provide the gentle melancholy. Yet even though it sounds obvious on paper, it’s a beautifully evoked scene in reality. Then comes ‘Morning’ and amongst the throbbing layers, the piece emerges slowly and majestically not unlike Bark Psychosis’s ‘Pendulum Man’. ‘Evening’ is a mesmerising marriage of resonating acoustic guitar and shimmering effects, the shape shifting ‘Twilight’ blurs and distorts to disorientating effect, in turn seguing into the murky, sinister suggestions of ‘Night’. To conclude, there’s a final version of ‘Dawn’ in busier, reprise mode to end what has been a throughly eventful journey after all. We’re not actually short of gentle ambient records these days but ‘Author Of The Twilight’ is one of those special albums with its own unique atmosphere, which deserves to be savoured. Just like fishing then, spend enough time on it and you will eventually be rewarded. As the proverb goes: “If you want a thing done well, do it yourself”. 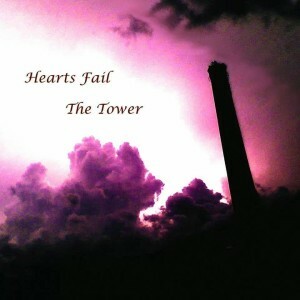 These words may have been at the forefront of the founder member of Hearts Fail himself, Edward Wagner, for this is the first album in the band’s ten year existence to be written, arranged, performed and produced entirely by him. Despite referencing the likes of Sister Of Mercy, The Mission and various British post-punks acts in their overall sound, Hearts Fail are a goth-inclined rock act with several tricks up their sleeve too. Any song which opens with the line “This is where the angels come to die” may sound a tad clichéd but throw in some surprisingly psychedelic keyboards, crisp percussion and Wagner’s own murmuring and you have an unusual and fascinating band (or solo act). Earnest, soul bearing anthems such as ‘Always’ and ‘Two Worlds Apart’ pass muster but it’s evident the more risk Wagner takes, the more intriguing his music becomes. For instance, the intense opening to ‘In My Head’ suggests The Teardrop Explodes with once again the opulent keyboard work set against Wagner’s moody crooning; it’s an incongruous but winning combination. The title track is a fine Bunnymen-esque ride through glum rock. There’s even a brilliant interlude, courtesy of the Comsat Angels homage ‘Writhe’ and the Sheffield band’s influence crops up again on the shuffling drumming on ‘Stars’. Wagner is clearly trying to do something different to stand out from the usual post-punk, goth rock revivalists and to a large extent he’s succeeded. There are times when the songwriting may lack the immediacy of his contemporaries and the album could have done with being pruned a little but otherwise this is nostalgically-flavoured music performed with a flourish; made all the more admirable by the fact that this album is the work of a one-man band. Wheher by accident or design, thanks to his 2012 debut ‘Golden Years’, Brothertiger became a member of the new Chillwave movement. The record captured that same feeling of 80s synth pop dressed up in dreamy, ambient clothing and it was all the work of Brooklyn-based John Jagos. ‘Future Splendours’ is a swift follow-up and one which flows seamlessly from the first long player. Firstly, the bad news. What cannot be doubted about Jagos is his ear for a fine tune but, this doesn’t always bring lasting rewards. A surprising choice for a lead single, ‘In Mind’ is light and insubstantial and not helped by Jagos’s pleasant but rather indistinct vocals, and an insipid duet on ‘Further On’ also fails to convince. Yet these prove to be exceptions. Opener ‘Up From Below’ seems to be rather lightweight initially but the key change for the chorus is uplifting and a jangly guitar figure and strong rhythmic pulse create a very infectious ‘Crazy, Again’ but it’s also a song with depth and intrigue. Furthermore, ‘You Should Know’ is populated by busy programmed beats and a charming, wistful turn from Jagos whilst disco anthem in-waiting ‘Particle Horizon’ is another definite highlight; here Jagos keeps the melody simple but the 80’s cheese is balanced with insistent rhythms. Brothertiger still resembles a less complex Junior Boys but within the retro-stylings and airy vocals, there’s a lot more going in here than you might initially think. Chillwave, dreampop or whatever you want to call it, Jagos writes good pop songs, pure and simple. There are some very special talents emerging from Japan at the moment. Following hot on the heels of Ikebana’s brilliant debut, comes another Japanese female act, a solo artist named Cuushe. Her second album follows four years on from her debut but it sounds so fresh and dreamy, any prolonged absence is immediately forgiven. 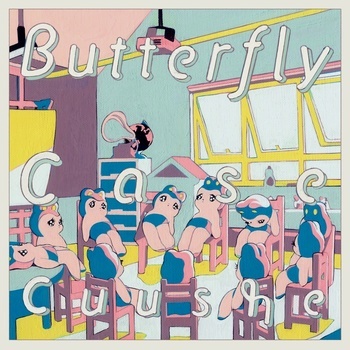 To say that ‘Butterfly Case’ acts as a kind of soothing balm would be to dismiss the other side of the record because it’s so euphoric in terms of melody, beats and heavenly vibe. At the heart of it all of course is Cuushe herself, a romantic soul lost in her own wonderful dreamworld and what a world it must be.